As Vice President of Business Development for Banyan Biomarkers, Tony Grover is responsible for fostering new business initiatives, reimbursement, marketing, and managing corporate partnerships. His career spans venture capital, government relations, reimbursement, marketing, and operations for a variety of life science companies. Most recently he was the Director of Marketing and Reimbursement at PhotoThera, Inc., a privately held medical device company that raised over $100mm for the treatment of acute stroke. 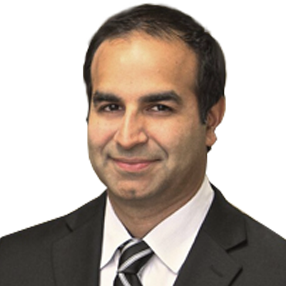 Prior to joining PhotoThera, Mr. Grover was a management consultant for Pittiglio Rabin Todd & McGrath (PRTM), now PwC, where he worked with a variety of Fortune 500 companies to increase operational efficiency. Mr. Grover is currently Co-Chair of the BIOCOM Medical Device Committee in San Diego, an industry organization that serves over 1,000 life science companies in Southern California. He is also on the Advisory Board of the Global Brain Health Coalition to bring brain health awareness to patients, athletes, veterans, and caregivers. Mr. Grover previously served on the Board of Directors for the American Heart Association, San Diego from 2010-2012, as Chairman from 2012-2014, and as Past Chair in 2015. He is currently a member of the American Association of Clinical Chemistry and the American Academy of Neurology where he served on the Corporate Roundtable Executive Committee from 2009-2013. Mr. Grover is a Ronald E. McNair Scholar from Michigan State University with a B.S. in Biochemistry. He also has a M.B.A. from Carnegie Mellon University, Tepper School of Business and completed the Harvard School of Public Health Summer Program.